Bring some retro 80’s wear into your outfit with these stylish re-issued trainers. 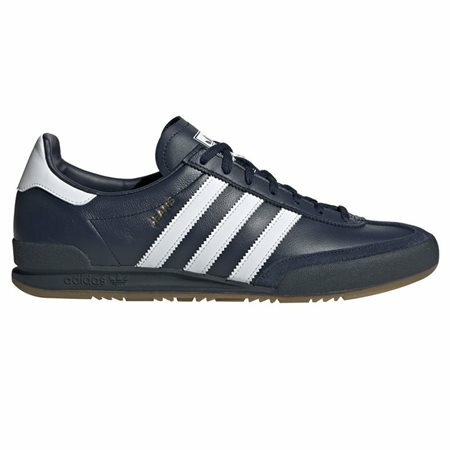 A supple leather upper displays the iconic 3-stripes on the sides. Fitted with a gum rubber outsole for a excellent grip and comfort while staying true to their retro roots. 5 38 5.5 9.2 "
6 39 1/3 6.5 9.5 "
7 40 2/3 7.5 9.8 "
9 43 1/3 9.5 10.5 "
10 44 2/3 10.5 10.9 "
12 47 1/3 12.5 11.5 "
13 48 2/3 13.5 11.9 "
14 50 14.5 12.2 "
15 51 1/3 15.5 12.7 "